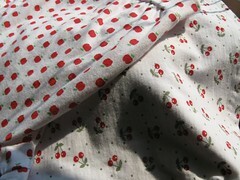 Loving these t-shirts for the little one – apples and cherries. AND speaking of being ‘in the red’, I have a number of overdue projects and barely have time to do them. 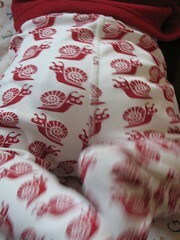 With a little one about to crawl and the garden beckoning. Will I ever get this made in time for my special friend’s babe?